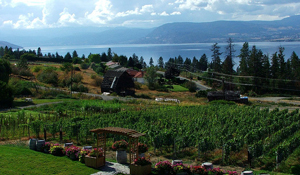 There's a magical quality that can be experienced in the Okanagan Valley during the late spring and summer seasons. The valley comes alive with visitors, and the majestic landscapes are enjoyed by all. Nestled in the picturesque Valley is a multitude of award-winning wineries known internationally for their premium wines. One such winery is Summerhill Pyramid Winery. With a dedication to organic wine production, this Okanagan treasure is unique in its approach not only in wine production but also in sustainability and organic practices. Visiting the Okanagan region for the first time in 1986, New York developer Stephen Cipes discovered the rich growing conditions found within the valley. Cipes was especially enamored with the "intensely flavoured small grapes" he found that were perfect for developing sparkling wines. Armed with grape clones from France, Cipes personally planted the vines that would produce the award-winning wines. Since the Cipes family began the winery in 1986, they have been dedicated to organic practices in every aspect of operation. Achieving Certified Organic status in 2007, this local winery ensures that from growing of the grapes to bottling of the wine, organic and minimally-invasive procedures are observed. According to Ezra Cipes, current CEO of the family winery, the Okanagan is one of the "easiest places in the world to be organic" and Summerhill upholds this philosophy in hopes their successes will inspire others to embrace organic practices. 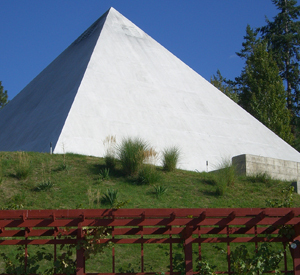 The winery boasts an breathtaking lake view, Peace Park, nature preserves and an impressive pyramid. In addition, the family grows their own herbs and produce in a half-acre permaculture garden, supplying their onsite Sunset Bistro. Passionate about their craft and introducing visitors to the unique vision and spirit of Summerhill, the winery has become a popular spot in the valley. With a team committed to the environment and passionate about the process of crafting an entire wine experience, the future is bright for this local gem. You keep it up now, untnasdred? Really good to know. Thank you Wayne. Pat Buchanan famously called the US Congress ce0;Isra2li-oc8upied territory”, but if Huckabee is elected US President, the settlers will clearly have one of their own in 1600 Pennsylvania Ave. Yes! They were taken outside. I live in Arizona and it was very warm outside! He was just unpparwed from a blanket for a couple of minutes and stayed out like a light!